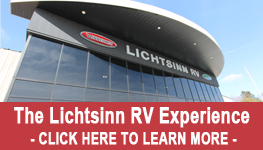 In this video, Ben Follman, an RVDA Master Certified Factory Trained Technician, walks us through what is involved in an Oven/Range Service at Lichtsinn RV. An RV Oven/Range Service is recommended every 12 months. During this service we will test the oven temperature and adjust if necessary, clean and adjust oven pilot, inspect thermocouple and clean and adjust as needed, and inspect burner tubes for debris.